World Champion between 1866 and 1894, Steinitz was the first official World Champion. Though not an equal to his rivals Zukertort and Chigorin in complicated positions, Steinitz had a deep understanding of defensive play, and in the accumulation of tiny advantages. His play changed the chess perspective of a whole generation of masters, and he was very successful in outplaying more talented opponents. Steinitz's predecessors believed that winning mostly depended on luck and rapid King-side attacks. In the post-Steinitz era, modern masters came to realise that winning attacks could only result from one side having a clear positional advantage, and that the best defence meant avoiding enduring positional weaknesses. While players of Steinitz's era were more adept in open positions, Steinitz showed the way in the more difficult domain of closed positions. Born in Prague, of Jewish parents, Steinitz studied in Vienna in 1858. He represented Austria in his international debut in London, 1862. He moved to London and in 1866, he defeated Anderssen, till then considered the world's best player, by the score of +8 -6 =0. Steinitz won tournaments in London 1872, Vienna 1873 and New York 1894, and tied for first or second in Dundee 1867, Baden-Baden 1870, Vienna 1882, London 1853, St. Petersburg 1895/6 and New York 1897. 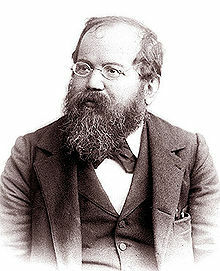 Steinitz outplayed his British opponents, winning against Bird in 1866 and crushing Blackburne in 1876. He became the chess editor of The Field. In 1886, Steinitz and his arch-rival Zukertort played the first match that was recognised as the World Championship. In their previous match in 1872, Steinitz had defeated Zukertort by +7 -1 =4, and in the latter match he also won by the score of +10 -5 =5. Zukertort was badly affected by this defeat, and was taken ill shortly after and died two years later. Steinitz moved to New York in 1882. His next opponent and rival, Chigorin was defeated by Steinitz by the score of +10 -6 =1 in 1889 and again in 1892 by +10 -8 =5. In 1894, Steinitz was defeated by the young Lasker by +5 -10 =4 and in their return match in 1896/7, Steinitz also lost by the score of +2 -10 =5. Steinitz then became ill in Moscow and was put in a mental institution. After a brief recovery and return to play, he fell ill again and in 1900 he died a pauper in New York. Steinitz is buried in the Evergreen Cemetery, Brooklyn.